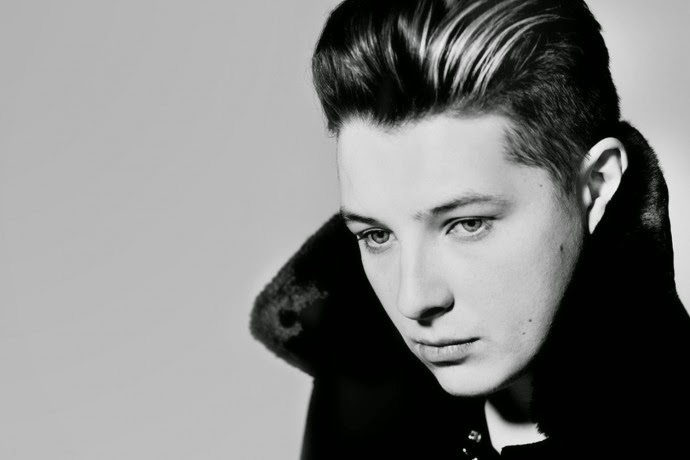 Friday 24th July 2014: John Newman lands in London for his first two sold out shows in London. It's been a great journey for John since his debut album 'Tribute' went straight to No1 in the UK about a year ago. He has achieved chart success, Brit Award nominations and collaboration with one of the biggest DJ's in the world Calvin Harris. With so much success in the past year, it was a nice touch to include a video montage of clips of him performing on some of the most well known shows in the world and being interviewed by some of the biggest names on television played out on the big screen. John then burst on to the stage to perform his recent No1 single 'Blame' with Calvin Harris. This first track paved the way for the rest of the night, a highly energetic performance with faultless vocals. John sang through hit singles including Love Me Again, Cheating and Losing Sleep and filling the set with other songs from his album 'Tribute', including Easy John, Gold Dust and Out Of My Head. Not only were his vocals completely on point but he matched it with some great stage presence and some pretty good dance moves. The audience were clearly loving the night and loving the show. John slowed down the pace of the show and performed a stunning emotional performance of Down The Line, showing exactly why people fell in love with him in the first place. An unforgettable performance. During the gig John took and opportunity to thank his fans for their continued support and his mother, who he dedicated his second hit with Rudimental Not Giving In. And he also took the opportunity to the thank the "girl who broke my heart", as she was the inspiration for writing his records. In his own words "she's regretting that decision now". At just 24-year-old there is a promising future in store for John and he is completely in a league of his own, with a crazy amount of talent and the ability to capture an audience it will be great to see what he does next. Looking forward to some new material.